But, some of us ask, how do we know what is the correct interpretation? Are the Jewish extremists who believe that the Palestinian Arabs should be murdered and who act on that belief when the chance arises following the “true” interpretation of the Bible? Do they represent “true Judaism”? Are all other followers of Judaism liars or deceiving themselves? Let’s do a thorough study of the Bible to find out. . . . Okay, I have read the commentaries and the scholarly works on the Bible and I can confidently say that those extremists have it right. The biblical command really did mean that the Jews were required to slaughter any non-Jew remaining in the land. Therefore…..? If you follow that line of reasoning and accuse all Jews except for the handful of murderous extremists of lying to themselves about their religion, then I suggest you have no idea what religion is. You have set yourself up as god or simply chosen to side with the narrative of the killers. If we follow that line of reasoning we fail to understand that religious beliefs are what the believers themselves say they are and what they themselves do. I cannot read the “Old Testament” and then declare that as a result of my reading I know what Jews believe and what Judaism is. Nor can I read the “New Testament” and as a consequence claim to know what “Christians” believe. If I want to know what Catholics believe, or what are the beliefs of the Baptists or Seventh Day Adventists or the Dave Koresh Waco cult, simply reading the Bible will not be particularly helpful. Yet somehow when it comes to the religion of Islam it seems that a surprising number of us believe we can simply read the Quran, see passages that “admit of no other interpretation”, and declare we know exactly what Muslims believe. And if they deny it then they are lying to themselves or to us, we say — forgetting that the Jewish god instructed Moses to lie to Pharaoh and the Christian apostle Paul boasted of putting on whatever front he thought would win followers. 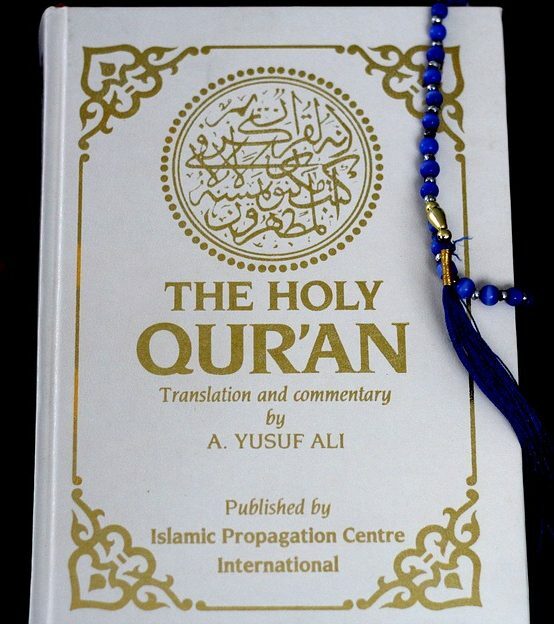 So many of us seem to insist that there is no other way to interpret the Quran and that it follows that Islam is by its very nature and sacred book a violent religion. If the overwhelming majority of Muslims they personally know disagree, so much for those “deluded” or “lying” Muslims. The Islamist extremists who have murdered thousands of Muslims do not think their apostate victims were “lying” to themselves or anyone else about their Islamic beliefs. That’s why the killed them. Several times I have come across white Westerners without any serious background in Islamic studies setting themselves as the “true interpreters” of the Quran. On what authority? They have read the Quran! And maybe a few other works and websites that support their eagerness to find some congenital evil in the heart of “the other”. Several times I have found these self-appointed experts drawing analogies with Hitler’s Mein Kampf. There are your blueprints to violence that stand beside Mein Kampf. They are the titles that set out what is “wrong” with todays world, and yes, they include attacks on the majority of Muslims who want to get along peacefully with their neighbours. Religions do not exist as some objective, unchanging reality “out there”. Religions are a social construct that go through changes like any other social construct. They are what their followers make them to be. Their sacred books teach what their believers believe them to teach. That has always been the nature of religions. Today we have seen Buddhists, Hindus, Christians and Jews justifying violent, murderous attacks on Muslims. Most Buddhists, Hindus, Christians and Jews deplore and condemn their violence and their arguments. Most Christians and Jews accept that their Bible contains cruel instructions but at the same time they believe that God wants them to follow the other passages in the Bible, those stressing love and good will. Yet for some reason too many of cannot bring themselves to believe that the other “people of the book” could possibly be the same as us. Jewish and Christian history has not been pretty, and today there are factions of Muslims who are taking their turn at showing their most ugly side; and it is those Muslims who really are a lot more “like us” than many of us care to see who are suffering the most at the hands of those extremists. Posted on 2017-05-30 07:57:10 GMT+0000 by Neil Godfrey. This entry was posted in Religion and tagged Islam, Islamophobia. Bookmark the permalink. Obviously there is a substantial difference between the concept of murder and killing [i.e., more than the loss/taking of a life]. Or is that “murder” translation an attempt by scholars to limit the command to something more “reasonable”? Maybe you are right (I have heard the argument before) — but I do not know the grounds for the claim that it should be translated “murder” and not “kill”. I’d be interested to know what evidence is offered to support this claim, and what, exactly, is the distinction between “kill” and “murder” in the sources relied upon. “Professor Lang has touched on what is, to put it mildly, a lively issue. A Google scan of the Internet comes up with 134,000 entries on the Sixth Commandment, a high percentage of them dealing with its translation! Although a sampling of these entries shows that few have anything cogent to say about the linguistic issues involved, many illustrate why the debate is so fervid. 7523 רָצַח [ratsach /raw·tsakh/] v. A primitive root; TWOT 2208; GK 8357; 47 occurrences; AV translates as “slayer” 16 times, “murderer” 14 times, “kill” five times, “murder” three times, “slain” three times, “manslayer” twice, “killing” once, “slayer + 310” once, “slayeth” once, and “death” once. 1 to murder, slay, kill. 1A (Qal) to murder, slay. 1A1 premeditated. 1A2 accidental. 1A3 as avenger. 1A4 slayer (intentional) (participle). 1B (Niphal) to be slain. 1C (Piel). 1C1 to murder, assassinate. 1C2 murderer, assassin (participle)(subst). 1D (Pual) to be killed. vb. murder, slay — Qal murder, slay, with premeditation; c. acc. pers., unawares; slay as avenger; esp. pt. as subst. = slayer, manslayer, without intent; murderer, with intent. Niph. be slain; murdered. Pi. (intens.) murder, assassinate; Pt. as subst. murderer, assassin. Unfortunately, space [and time considerations] would limit a full discussion, if such a thing is even possible, on this important and timely topic. The bottom line is that all life should be respected and valued. Thank you for raising our consciousness. When you say “the scales tip in favour” I am reminded that opinion is divided and therefore we have no secure assurance that the word has some objective meaning of “murder”. The commentaries, lexicons, do not answer the question since they are merely citing opinions with little definitive argument, too. It makes perfect sense that in context (and context is always at the heart of any translation) the sixth commandment should have the restricted sense of murder. We know killing of animals, for example, was part of their commanded ritual. But once again we are into interpretation. Even the word “murder” has to be interpreted for meaning. Is killing a prisoner of war “murder”? is killing an enemy “murder”? is killing a wounded and suffering friend to put him out of his misery “murder”; is killing a fetus “murder”? and so on. What concerns me is the way too many people throw out the most fundamental understanding that all reading is always a matter of interpretation at some level when it comes to their views of Muslims and the Quran. This is ignorance and bigotry, imo. A well stated concluding paragraph. Objectively, what is lawful is whatever you can get away with that is conducive to your government’s goals. A casual glance at what average people started doing immediately after Trump’s election news broke is the most basic proof.